Sonora Quest Laboratories Simplifies Recycling with R3eWaste. Learn how Sonora Quest Laboratories has partnered with R3eWaste to reduce costs, consolidate vendors, and responsibly recycle their electronics and consumables. Almost 1,000 aging printers and copiers needed to be collected and recycled from ~300 locations spread across Arizona. R3eWaste worked with multiple teams within Sonora Quest Laboratories to coordinate logistics, ensure HIPAA compliance, and report on how each asset was handled. Sonora Quest Laboratories now partners with R3eWaste to handle recycling for everything from electronics and IT data center equipment to plastics, lightbulbs, and toner cartridges. Sonora Quest Laboratories was provided access to the R3E Inventory Management System (IMS)* that tracks each unit of their equipment and how much it sells for while ensured nothing ends up in a landfill. Sonora Quest Laboratories (SQL) had a large fleet of printers and copiers in the field. The fleet was expensive to manage and maintain as the equipment was aging and they were not standardized on a single model. They had approximately 125 different models in use. The fleet was also spread out across the state. SQL operates more than 7 0 Patient Service Center (PSC) locations where technicians draw blood and collect specimens. Two full laboratories also operate in Tucson and Flagstaff. Each of these locations could have 1 to 6 printers and 1 to 2 stand -alone, large printer/copiers. 70- 80% of the printer and copier fleet was under a lease. The initial plan was to collect all the equipment and bring it to a central warehouse using the SQL internal facilities team. Then that equipment would need to get shipped to the lease provider’s Houston, TX location. SQL’s original vendor quoted $15,000 to ship the items to Houston. Add that to their soft costs including using their internal facilities team, and the project quickly became cost prohibitive. Sonora Quest Lab oratories had to find another solution. SQL had a primary recycling partner. That partner would take printers for free, but they could not manage such a large influx of equipment. To handle a project of this size, they would need to charge 10 cents per pound. Matthew Reinhard, who has an Environmental Sciences Degree, was the Sonora Quest Laboratories team member in charge of the project. Disappointed with the options he had, Matthew took to the internet to find alternative solutions. Matthew had several requirements. He wanted companies that could handle hard drive removal and destruction, along with re-purposing, reselling, or recycling their used printing and copy equipment. SQL contacted three vendors to bid on disposal and sent them a list of the equipment. The three vendors included R3eWaste (R3E), another electronics recycler, and a company that specializes in selling used equipment. R3eWaste immediately stood out when Graham Wollaston, R3E President, reached out to Matthew and discussed their process. R3eWaste is a full-service recycler that focuses on eCycling. At the heart of the business is an industry-first Inventory Management System (IMS)*. The IMS tracks recycled assets from collection through their ultimate disposition. The IMS provides complete transparency into the process. Clients see how items are recycled downstream. If an asset is resold, the IMS shows who bought it and what they paid. That revenue is shared with their clients. Hard drive certificates of destruction (COD) are also stored within the IMS to make it easy to find for future reference or audit trails. R3eWaste was able to pick up each item from the nearly 300 locations at no charge. The pickups alone freed the SQL internal facilities team from a major logistical burden. From December 2017 to March 2018, R3eWaste went to the Phoenix warehouse, PSCs, and laboratory locations to gather the equipment, log it in IMS, and then bring it to R3E’s central Phoenix location for processing. R3eWaste had to be vetted by several SQL departments for approval for the project services. Information Security (Infosec) wanted to make sure that the drives were not only wiped, but also destroyed. Facilities had to sign off on the logistics and processes. Finance needed to understand the cost and budget implications. Supply chain management had to approve the process in order to manage the contracts. Every logistical concern was considered to make the process as seamless as possible for SQL. The R3E team were issued SQL vendor badges to eliminate confusion. The R3E team contacted the SQL location supervisors to coordinate, letting them know when they would be there while remaining in constant communication with SQL project management. Finance was thrilled with the project. It was completed at no cost to Sonora Quest Laboratories. The R3E solution not only saved eCycling costs, but also the much higher cost of managing logistics. Additionally, when equipment is re-marketed, SQL was able to see exactly how much the equipment sold for and who bought it. Infosec was satisfied by having a single partner that handled the hard drive disposal and certificates of destruction (COD). Having the CODs stored in the IMS means they do not have to keep track of them, that management component is built into the solution. Facilities did not have to send out their personnel to collect the equipment which relieved their staff and eliminated soft costs. The project was so successful that the R3eWaste partnership continues to grow. SQL had traditionally sold unneeded laboratory equipment, like microscopes, through brokers who specialized in used medical equipment. Due to the success of the printer project, they decided to give R3E a try. SQL requested three quotes for equipment they had already sold through brokers and one new piece that they were preparing to sell. While R3E is not a broker, they do have an extensive distribution channels and came in on the high side. The price combined with the ability to track assets and their resale through IMS made partnering with R3E on lab equipment an easy choice. SQL recycles a lot of steel and refrigeration equipment. In the past they would get pennies back on the dollar and their facilities team had to transport the items to the appropriate provider. Now R3E picks up that equipment at a neutral cost while relieving the internal team from the additional work. R3E is now picking up old specimen drop boxes that reside outside of the PSCs and physicians’ offices. These drop boxes are all clearly labeled with the Sonora Quest Laboratories emblem. Prior to R3E, SQL worked with another eCycler. They found their used boxes at competitors’ facilities still bearing the Sonora Quest name and had to cease the partnership. 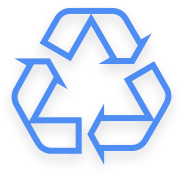 R3E is now working closely with the warehouse team to recycle plastics that get used for pallet wraps, packaging, and other uses. This keeps that material out of their multi-product recycling process. Soon the service will extend to cardboard. Sonora Quest Laboratories has a long standing, deep commitment to the environment. Now they can take that commitment to the next level. All items that R3E picks up from SQL are tracked in the IMS. This now includes toner, glass slides, IT equipment, batteries, used lighting and more. IMS provides a simple and accessible dashboard to visually show in real-time all of the volumes of each commodity that is recycled. A link to that dashboard can be shown on any customer facing website to demonstrate the SQL commitment to the environment. SQL is saving money. They have consolidated several vendors into a single partnership with R3E, and that partnership is continuing to grow. To learn more about the partnership between R3eWaste and Sonora Quest Laboratories, or to find out how your organization can benefit from a mature recycling partner, contact us today! To learn more about the partnership between R3eWaste and Sonora Quest Laboratories, or to find out how your organization can benefit from an elite electronics recycling partner, contact us today!